After mentioning it a few times, she finally sold me on trying The Mortal Instruments series by Cassandra Clare. We love the YA genre, and she assured me that this was a new take on the supernatural themes that we so love. I began the first book, City of Bones, and was a little iffy on the writing style. I instantly loved the story, though! As I read more, I began falling in love with the characters and even came to appreciate the writing style. By the end of the book, I found myself shocked. There was twist, and I didn't see it coming! It's so rare for me to be duped by a storyline, so I absolutely had to see what happened next. I started City of Ashes the very next day and loved it even more than the first book! I never think that the second book in a series is better than the first, and again it surprised me with a twist. Ms. Clare was on a roll! 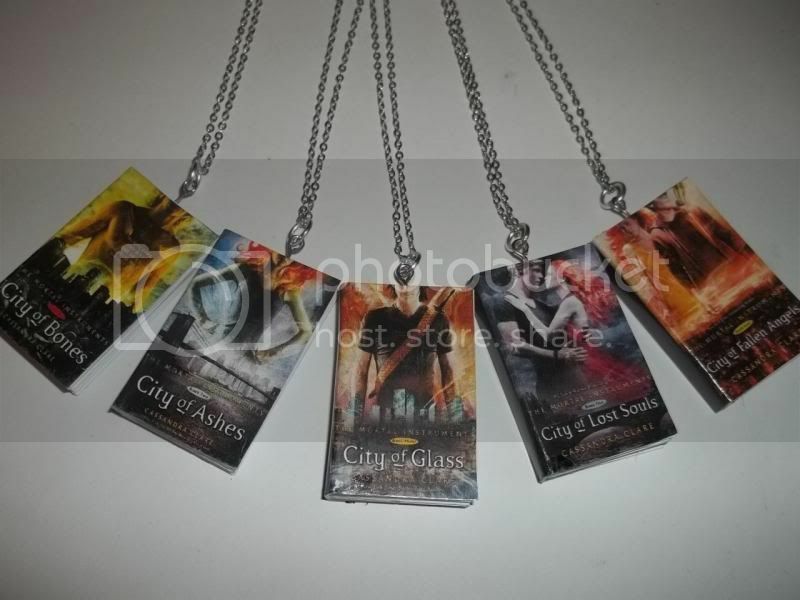 I dove into City of Glass and loved it, too. More twists! City of Fallen Angels was almost as good as the others, and now I'm in the middle of City of Lost Souls. So far, so good. Long story short, I have a new obsession.